Late models of Acura and Honda vehicles equip an electronic throttle body (ETB). The ETB is fully controlled by a vehicle computer. The vehicle with the ETB has no longer mechanical cable between the throttle body and accelerator pedal. Instead, the computer sends a signal to the ETB to open and close the throttle plate based on the parameters of various sensors throughout the vehicle. 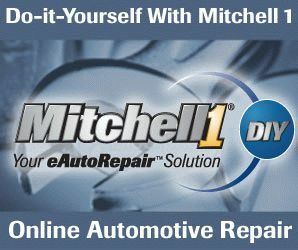 After you replace or clean the ETB, reset the vehicle computer, you will need to have the computer relearn the right throttle position and parameters of other sensors. Here is the Acura and Honda idle relearn procedure. 1) Make sure all electrical items (A/C, audio, lights, etc) are off. 2) Reset the ECM/PCM with the HDS. 3) Turn the ignition switch to ON (II), and wait 2 seconds. 4) Start the engine. Hold the engine speed at 3,000 rpm without load (A/T in P or N, M/T in neutral) until the radiator fan comes on, or until the engine coolant temperature reaches 194°F (90°C). 5) Let the engine idle for about 5 minutes with the throttle fully closed. HDS stands for Honda Diagnostic System. In the step 2 of this procedure, it’s referring to Honda’s OBD software and/or hardware. If you don’t have one, you may be able to reset ECM/PCM with an aftermarket OBD scan tool. If not, disconnect a battery for about 15 minutes. The last step of the procedure, you shouldn’t include time while a radiator fan is spinning into the 5-minute idling time. So, be aware that it takes longer than 5 minutes in most cases. This entry was posted in Auto Repair and tagged Acura, Honda, Throttle Body on April 8, 2019 by admin.